When Lady Saren defies her father's command to marry the vicious Lord Khasar, she is sealed in a tower with only her serving maid, Dashti, for company. In their cramped, dark space Dashti pours her thoughts into a daily journal while pitiless solitude engulfs them. At first Dashti is optimistic: they have food aplenty, candles for light, and even a visit from Lady Saren's true love, Khan Tegus-though he can only call to them from outside their walls. But Saren is ill of mind, the outside world is changing, and their circumstances soon grow desperate. And even if they do escape, they must still face the eerie malice of Lord Khasar. To survive, Dashti and Saren forge a bond of devotion and deception that will test them to their limits. 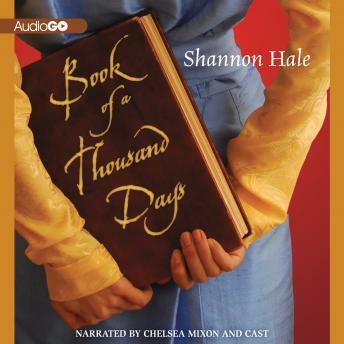 Once again Shannon Hale, author of the Newbery Honor Book Princess Academy, weaves an enchanting and original fantasy that will catch and hold listeners breathless in its spell.